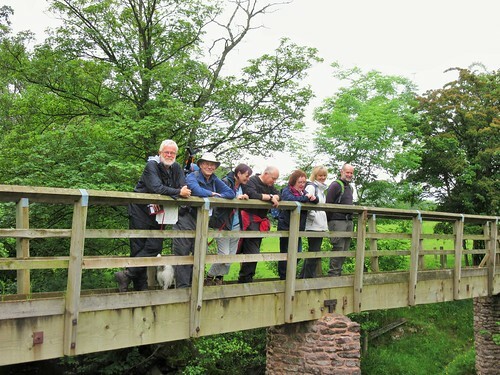 We set off from Kirkby Stephen in a cheerful crowd – Heather and David Pitt, authors of splendidly illustrated walking books; Ann Sandell and Andy Bryan of Kirkby Stephen’s ‘Walkers Are Welcome’ scheme; and Chris and David Stewart, begetters of thousands of walks through their website walkingworld.com, along with their Parson Russell terrier Brough. It’s a lucky district that can boast such movers and shakers in the walking world. 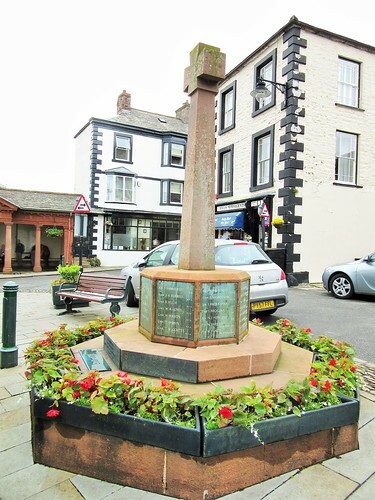 Kirkby Stephen, a lively market town in eastern Cumbria where six walking trails meet, lies in fabulous hiking country carved by the River Eden and its tributary becks into dozens of fells and dales. 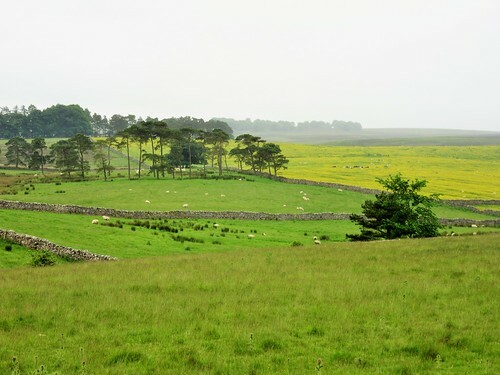 Then we struck out westwards across the steeply dipping fields among mossy stone walls and staring sheep. The long, rising backs of the fells shouldered up into low cloud. 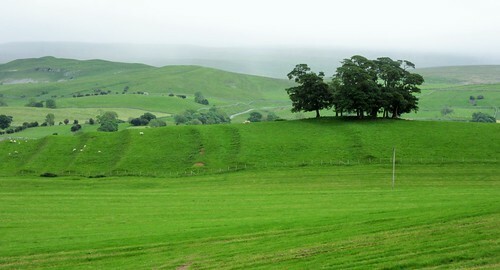 A muted grey-green light lay over the land. 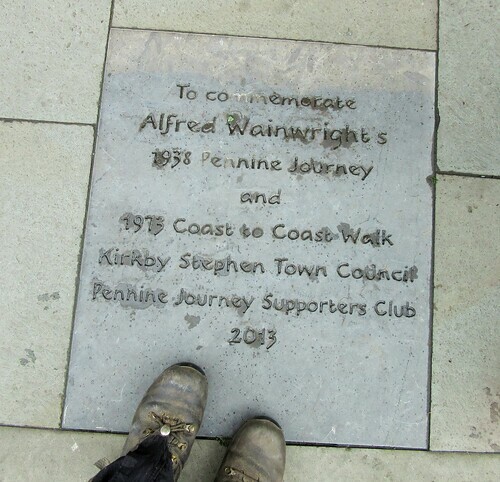 We followed lanes narrowly walled in, talking of walking – the Pitts’ retracing of Alfred Wainwright’s long foot pilgrimages, the Stewarts’ amassing of vast numbers of expeditions on foot for less supercharged walkers to enjoy. What a splendour of walks these clouded hills contain, everyone agreed: a treasure-house to be unlocked with simple keys of GPS and internet, map and shoe leather. 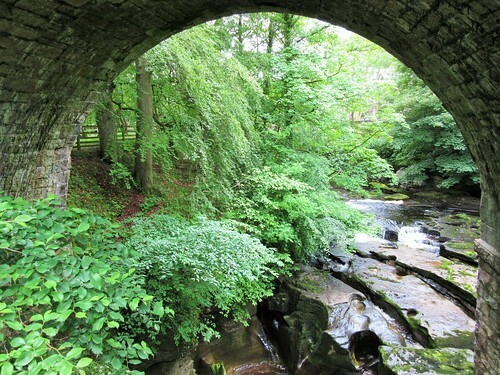 We stopped to picnic by the Settle & Carlisle railway line. Brough turned up his nose at ginger parkin and Wensleydale cheese. After trying without success to dig his way to Australia, he settled for lying down and looking noble. 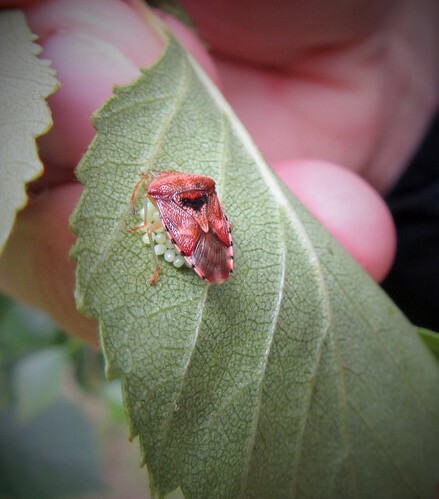 On the way back to Kirkby Stephen we found a red-brown shield bug in a bubble-bath of pale green eggs, a flock of sheep chin-deep in a golden wash of buttercups, a bulbous-bellied oak half a millennium old, and an emperor moth whose wings were camouflaged with the semblance of a scary, staring monster face. Not to mention the gold-and-blue parrots that flew up from the river as we approached Frank’s Bridge. 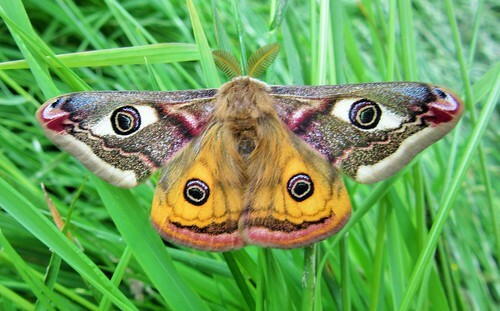 Every day marvels, there for the looking in every field and holloway. 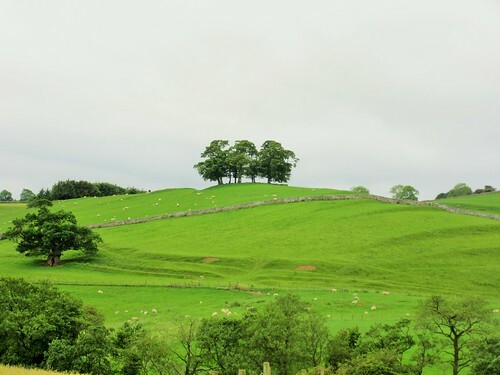 Walk (6 miles, easy, OS Explorer OL19): Walk south along A685. In 600m, right down alley beside No 2 (773082); left at end (‘Coast to Coast/CTC, Greenriggs’). Skirt Greenriggs farmyard (765078, arrows) and on. In 2nd field beyond farm, aim for far right corner (757075); follow CTC path to right to cross under railway (754074). Half right to field corner; bear right to road (749073). Left for 200m to T-jct; left for ¾ mile to A685 (757062). Left; in 150m, right down A683. In 100 m, left (758061, ‘Nateby’). In 300m dogleg left and right through Easegill Head farmyard (761062). Through yard gate; bear right to gate in wall; across field and under railway (764062). 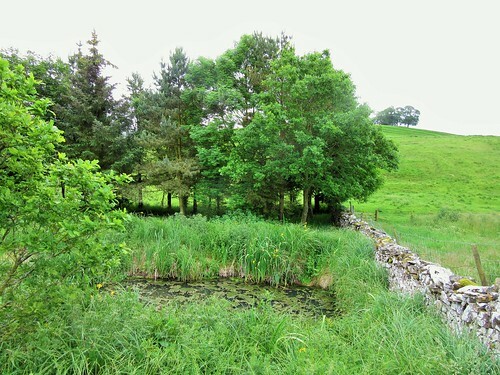 Down field edge; in 300m, left across stile; down past lime kiln ruin and through gate to left of plantation (768066). At track, right; in 200m, left through gate (770064) to cross footbridge. Left round field edge; through kissing gate (772065, blue arrow/BA) and follow line of crags that trend away from the river. Up between fences to gate (BA); ahead to gate (BA) into green lane to B6259 (774069) in Nateby. 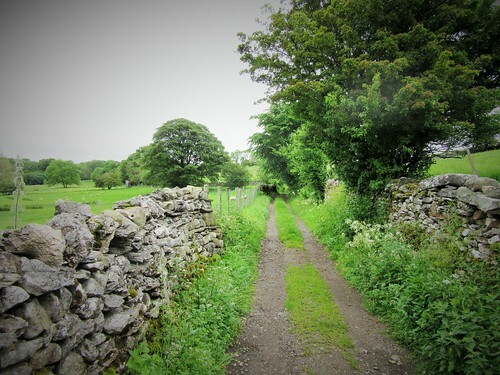 Left; in 100m, fork right on walled lane (‘Bridleway’; ‘Pennine Journey’). In 450m path crosses disused railway (776074 – NB Poetry Path circuit can be made from here); in 450m ignore gate on left (778078, BA), and keep ahead for ¼ mile to descend to cross beck (780082). 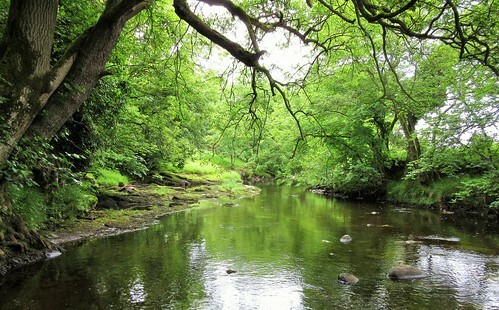 Follow River Eden along field edge; at field end, left (779087) on path to Frank’s Bridge (776087) and Kirkby Stephen. 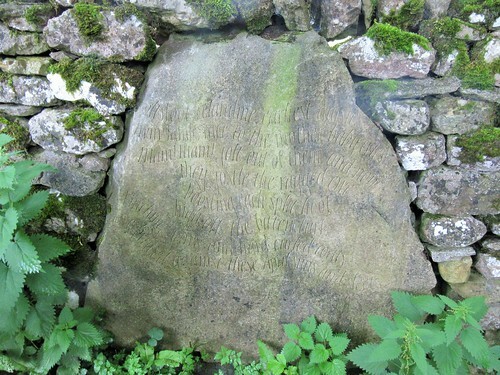 Lunch: Nateby Inn, Nateby (01768-371588, nateby-inn.co.uk); many cafés/pubs in Kirkby Stephen. 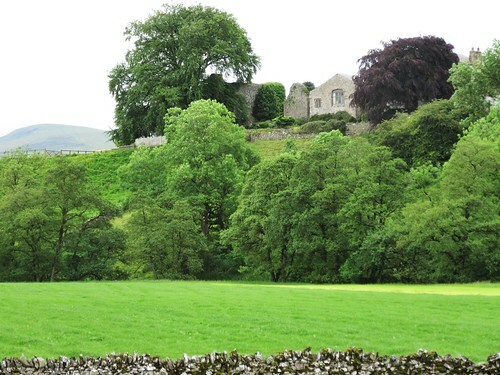 Accommodation: King’s Head, Ravenstonedale, Kirkby Stephen, CA17 4NH (01539-623050, kings-head.com) – really comfortable, excellent stopover.